A genetic counsellor can help you understand risk for retinoblastoma in your family. discuss ways to manage risk and live healthily. You may need to ask relatives about the history of retinoblastoma in your family. This can be difficult, and may awaken painful memories, especially for parents and grandparents. Involving them in the consultation may be helpful. 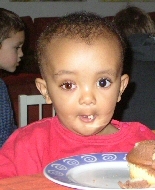 Your family history of retinoblastoma is important in working out the risk to unaffected children. Find out as much as you can about your family history of the cancer. For example, if any blood relative had their eye removed as a child, even if no one knows the reason. At the consultation, the genetic counsellor will draw a family tree based on the information you give. This “pedigree” shows all your close blood relatives and any incidence of retinoblastoma among them. The pedigree will be redrawn when genetic testing results are known. The information you will receive is often complex. Recording the conversation, and taking a friend or relative with you, can help to clarify things later. Don’t be afraid to ask the counsellor to explain things again or in more simple language. The genetic counsellor will usually send you a letter summarizing all the important points discussed at your consultation. The genetic testing lab may also send a letter explaining their results in plain language. How do you assess my family’s risk of retinoblastoma? How do you know if there is a higher risk of retinoblastoma in my family? Without testing, what is the percentage risk for my children to have retinoblastoma? Can we do genetic testing? Who can be tested in my family? What genetics lab do you work with to do genetic testing? Does this lab publish its test sensitivity, and if so, what is it? Will my insurance cover the testing? Is tumour available for genetic testing? Was it flash frozen? What are the risks associated with prenatal genetic testing? What do these test results mean for me and my family? Can I have a copy of the genetic testing lab report? Did the lab provide a plain language explanation of the results for my family? Based on the results, who else could be at risk in my family? Do I need to tell other relatives, and if so, who? How can I best discuss this with my relatives? Can you help with this? Do I have to tell my health insurance provider about my family history or the genetic tests? What are my legal rights and protections relating to this disclosure?